Moon Express, a Silicon Valley-based commercial space exploration company that hopes to eventually “mine” the natural resources of the moon, officially became the first private company in the world to receive permission to travel into space. The historic green light, which was granted by the Federal Aviation Administration (FAA), the same government agency that regulates on-Earth flight, comes after months of negotiation between the company and government officials. “We are now free to set sail as explorers to Earth’s eighth continent, the Moon, seeking new knowledge and resources to expand Earth’s economic sphere for the benefit of all humanity,” said Moon Express co-founder and CEO Bob Richards in a statement. While Moon Express has the go-ahead, it does not have free reign to explore the solar system at will. The FAA granted specific permission for the company’s planned lunar expedition in 2017 under the conditions that the project receive oversight from multiple other government agencies, including NASA, in the interest of safety and national security. There was previously no procedure in place to grant space exploration permission to a commercial firm. Moon Express’ big mission in 2017 will be to land a robotic lunar module — no humans will make the company’s first voyage — on the surface to collect data and transmit pictures and video. If the company succeeds, it will earn a $20 million pay day from Google’s Lunar XPRIZE competition, a contest for private companies in pursuit of space exploration. 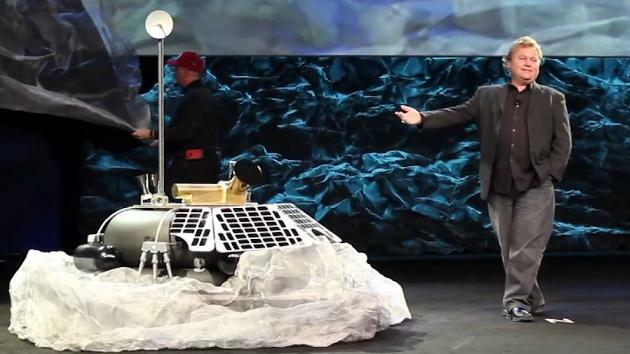 Created in 2007, the mission of the Google Lunar XPRIZE is to incentivize space entrepreneurs to create a new era of affordable access to the Moon and beyond. The competition’s $30 million prize purse will be awarded to teams who are able to land a privately funded rover on the moon, travel 500 meters, and transmit back high definition video and images. The Moon is not only our nearest neighbor in space, but it is also the gateway to the rest of the universe. Formed approximately 4.5 billion years ago, the Moon provides exciting opportunities for discovery in the fields of science, technology, resource detection and utilization, and human habitation.